Today the world's largest social networking site Facebook has started Application Center (App Center) in India and six other countries around the world. We all know that App Center makes it easier for people around the world to discover the best apps and games for them, wherever they are. Last month this social networking giant had launched its App Center in the U.S. 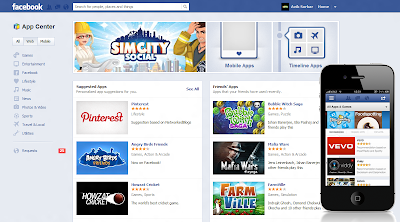 According to Facebook software engineer Drew Hoskins - “The App Center is now available to everyone in the U.S., Australia, Canada, India, Ireland, New Zealand, South Africa, and the U.K.” In addition, Facebook said that it will be launching App Center to users in Brazil, France, Germany, Russia, Spain, Taiwan, and Turkey in the coming weeks. The launch is part of a plan to expand its reach to a large number of Facebook users, with 80 per cent residing outside the U.S. and Canada. 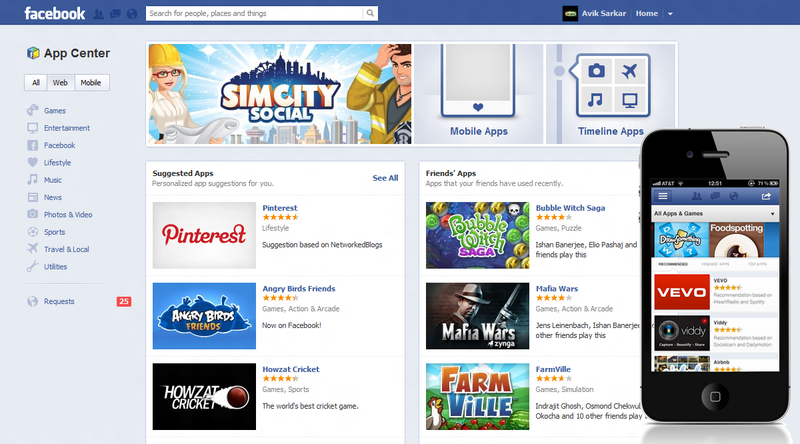 The users can access new App Center icon located on the left side of the home page on Facebook.com recommending apps to users based on their interests. Additionally, the service is also available on Apple and Android mobile devices.